Limited to 12,000 bottles. The Teeling Galway Bay Imperial Stout Cask is part of a new series called the Small Batch Collaborations. The first release is pairing Stout with Irish Whiskey - Galway Bay Brewery's Imperial Stout The 200 Fathoms was originally aged in Teeling Small Batch barrels. The said Stout-seasoned barrels have now returned to Teeling and resulted in a rich, complex, malty whiskey. Aromas (without water) Dark chocolate, truffles, sour apples, ocean spray. Palate (without water) Sweet malt, roasted barley, sour fruits and black cherries. 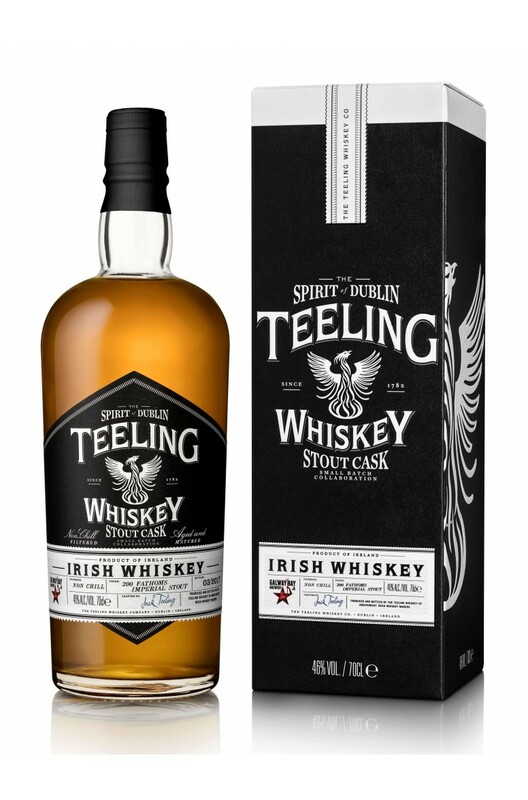 A first release of Irish Whiskey for the Teeling Whiskey Company. This is a blend of Irish grain and..